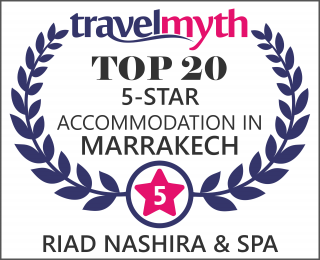 The Riad Nashira opened its doors in April, 2012; after so much hard work, it was a very exciting moment as all the ideas and designs came together in concrete form as we had imagined. At this point, however, another challenge awaited us, different from the previous one but complementary: management, that is, being able to offer clients a unique experience that meets their expectations with a complete, exemplary service. In brief, to see the place well occupied and our dreams fulfilled. We can say that we are satisfied and that we look to the future with optimism, well aware that the challenge and commitment must be there every day.